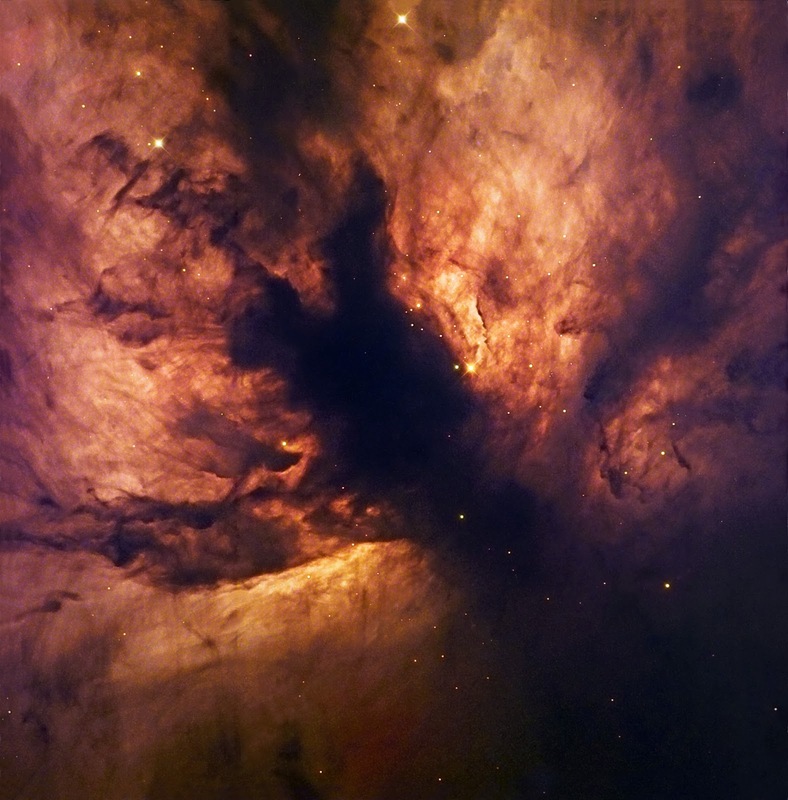 Sparkling at the edge of a giant cloud of gas and dust, the Flame Nebula, also referred to as NGC 2024, is in fact the hideout of a cluster of young, blue, massive stars, whose light sets the gas ablaze. Located 1,300 light-years away towards the constellation of Orion, the nebula owes its typical colour to the glow of hydrogen atoms, heated by the stars. The latter are obscured by a dark, forked dusty structure in the centre of the image and are only revealed by infrared observations. This image is based on data acquired with the 1.5-metre Danish telescope at ESO’s La Silla Observatory in Chile, combining three exposures in the filters B (40 seconds), V (80 seconds) and R (40 seconds).